Inscribed: Sketched during his visit in May 1834 to London. The drawing is accompanied in the Brockedon Album by a letter from Dalton, dated Manchester 20 May 1839, thanking him for a present of a photogenic drawing, probably of a botanic specimen - 'it is the best I have ever seen …’. 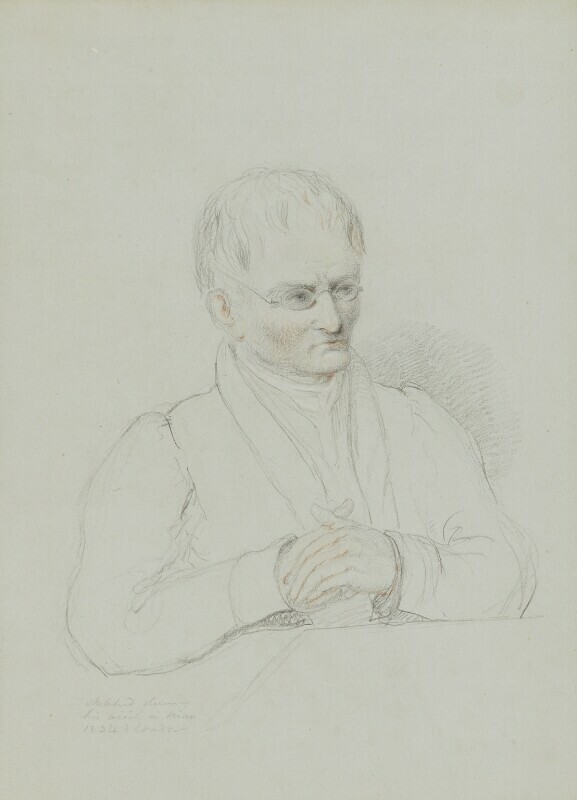 Half-length seated hands crossed, wearing glasses. See 'Drawings of Prominent People 1823-49' by W. Brockedon in Richard Ormond, National Portrait Gallery: Early Victorian Portraits, 1973.